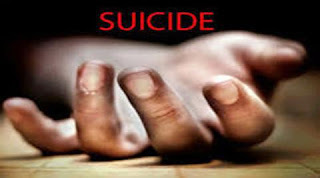 CHIPINGE – In an incident that left Chipinge villagers tongue-tied, a jilted pregnant woman committed suicide by taking rat poison last week. Sharon Moyo Malanga (27) decided to take her life after husband Tafadzwa Muyambo denied taking responsibility of the pregnancy. Chipinge District Police Spokesperson, Assistant Inspector Blessing Kadzuraumera confirmed the incident and said Sharon committed suicide by taking rat poison. "Memory was found lying on the ground complaining of stomach pains and later revealed that she had consumed rat poison following a misunderstanding with her hubby in which the later denied to take responsibility of the pregnancy. She later passed on before she was rushed to the hospital. A suicidal note was later recovered," Asst. Inspector Kadzuraumera said.